Welcome to this week’s workout schedule! I have a fantastic week of exercise planned. 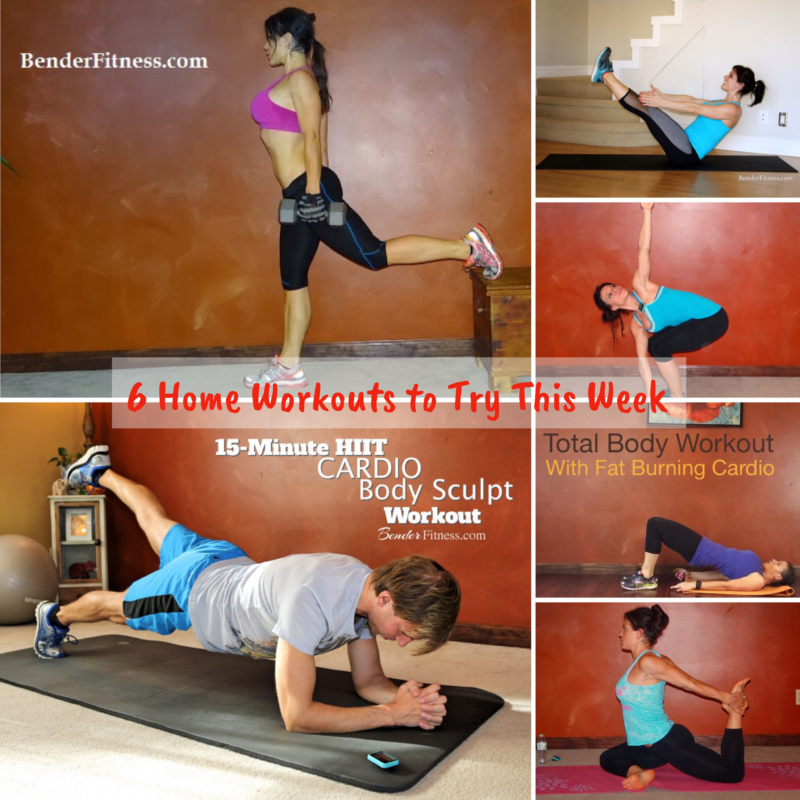 There are six-workouts on the agenda, with one day dedicated to rest. I have a bunch of new workouts on my Filming To-Do List. I think that you are going to really like the variety we have headed your way. It has been a busy few weeks, but I am starting to get back into the flow of things. My goal is to film at least one new workout this week (which will be in next week’s weekly workout schedule). In the Bender household, we have been focused on finding the right Work/Life balance. Some days everything goes smoothly, and other days it feels like I need twice as many hours in the day to get my To-Do list done. If you struggle to find this balance, don’t beat yourself up. Give yourself a little bit of flexibility. Don’t give up on the things that you need/want to get done, but don’t berate yourself if there are days when it just doesn’t work out. One thing that I have noticed is that on the days when I make my workouts happen, I am more energized and more efficient for everything else I need to do. It sounds counterintuitive, but exercise actually increases your energy levels, and your body’s ability to use energy efficiently. In addition to the workouts for the week, I challenge you to take at least 5-minutes a day for meditation or self reflection. Use that time to take stock of how you feel physically and mentally. Taking some time to yourself can be a powerful form of self care. We often get so caught up all of the things that happen outside of us that we forget to take some time to focus inward. The mind-body connection is a powerful tool. It helps with your peace of mind, your health, and your overall happiness. Have fun, and let me know what you think of this week’s workout schedule! Feel free to tag me on Instagram with your workout check-ins! I love cheering you on, and seeing you workout with me.